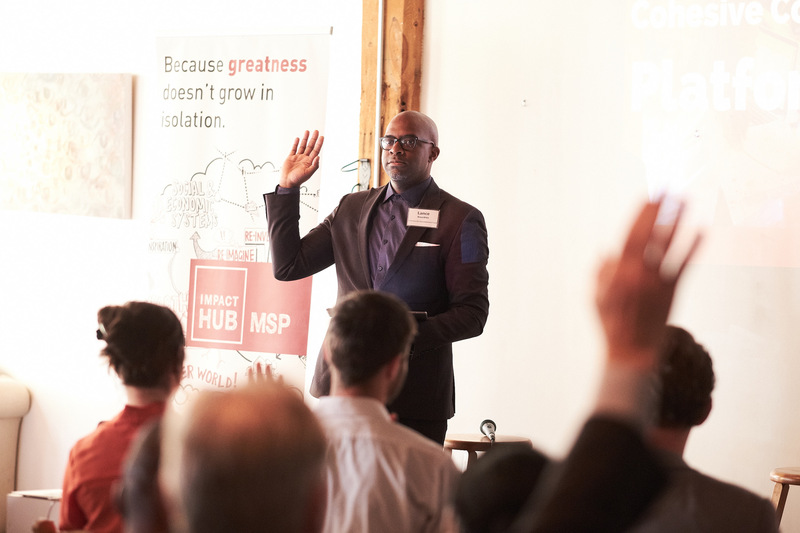 In February of 2016, in partnership with Impact Hub MSP and support from the Bush Foundation, Cogent Consulting began a year long project to grow the Minneapolis-St. Paul impact investing ecosystem. We are sharing our process here in hopes that communities around the world will be able to grow their own impact investing ecosystems. Before you can scale your impact investing ecosystem, you have to understand what it looks like. Who are the stakeholders and who isn’t yet at the table? What is working and what isn’t? What are the needs, roadblocks, and easy wins? If you begin your efforts to scale the ecosystem before answering these questions, you won’t have a baseline against which you can compare your progress. Secondly, if you don’t understand how your ecosystem operates, you will waste your time fixing the wrong problems. 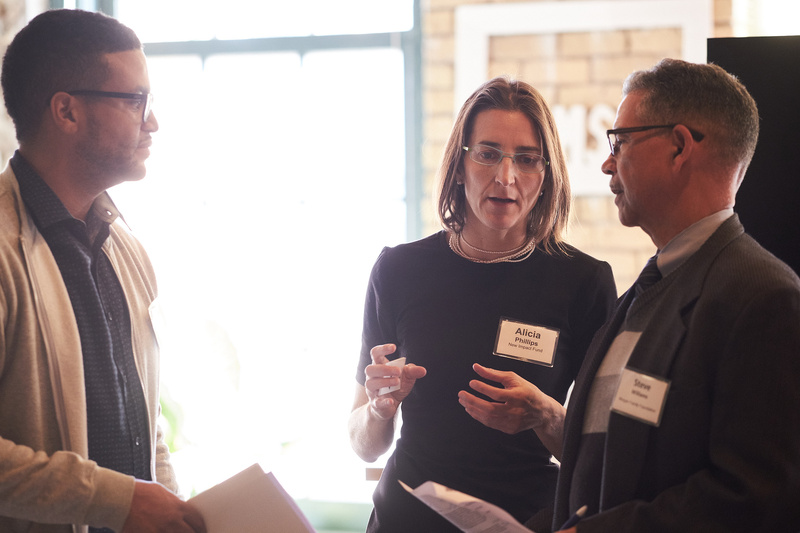 While the quantitative data that we collected for the map created an objective picture of the local impact investing landscape, speaking to the stakeholders about their experience gave us a deeper understanding of the ecosystem’s mechanics. We interviewed foundations, nonprofits, entrepreneurs, intermediaries, financial advisors, community development financial institutions, land banks, high net worth individuals, banks, and angel investors. In doing so, we learned that the biggest hurdles for our ecosystem were the need for a shared language, matching deal flow with investor appetite, and impact measurement. As we finished work on the map we invited each of the participants to an impact investing ecosystem convening to build a community identity and unveil the map. Our goal for the convening was to give the attendees a space to peer into each other’s unique perspective on the impact investing ecosystem. We designed the gathering so that stakeholders could contribute equally without the skewed power dynamic of many investor-investee relationships. We assembled the attendees into teams that had a mix of sources of capital (investors), intermediaries, and end users of capital (investees). The teams explored the map by first locating their own organization and then analyzing the ecosystem through the many lenses of their team. We paid special attention to creating a pitch-free and welcoming experience for everyone. Careful curation of the invitation list, pre-work with several intermediaries prior to the event, and active facilitation during the event created a safe, welcoming space for all, evidenced by many participants staying for the informal lunch following the program. Once we had an understanding of what the ecosystem was, we could begin to imagine what it could be. We surveyed the entire ecosystem for their best ideas for scaling and mainstreaming impact investing in the Twin Cities. The ideas could be half baked, unrealistic, or already in progress—our only requirement was that they were bold. 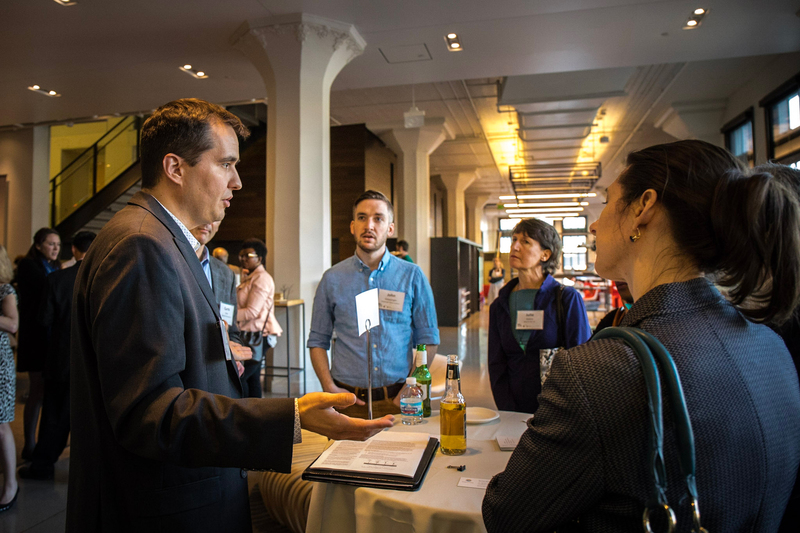 Once we had collected the ideas, it was up to the project partners—Bush Foundation, Impact Hub MSP, and Cogent Consulting—to choose the most exciting ideas. Through a name blind process, we whittled 46 ideas down to 12 ideas that represented a broad range of topics and addressed the gaps we identified in Part I of the project. 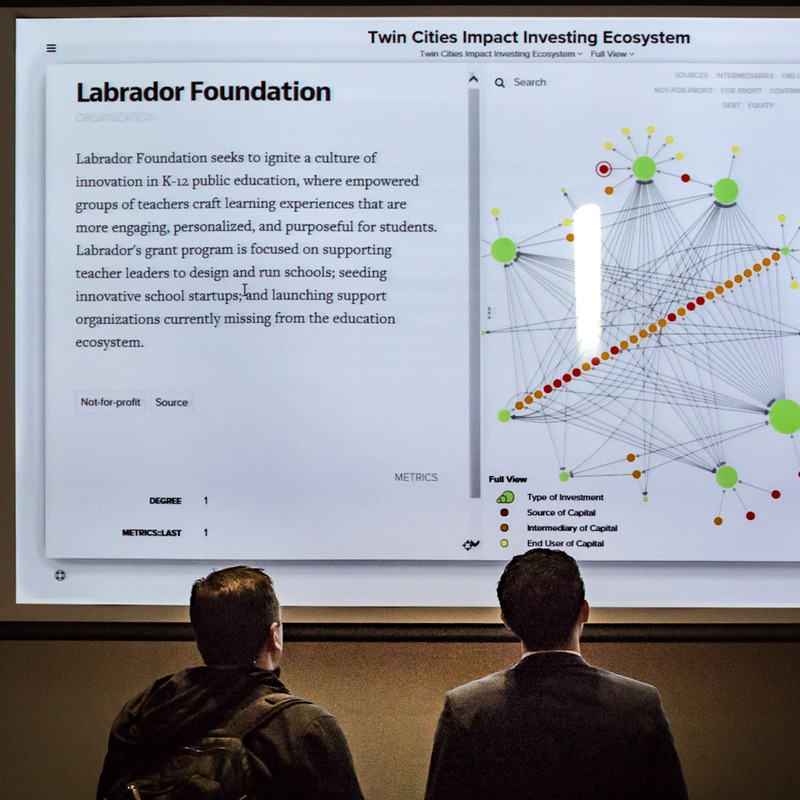 These ideas included a method of securitizing impact investments, a vehicle for charitable investments into businesses, and a for-credit student impact lab. We then worked with each ideator individually to develop and refine their idea until it was ready to be presented. We designed the second convening as a series of short TEDx style Talks. Each of the 12 ideators had 5 minutes to present their bold idea to the ecosystem. Afterwards, attendees roamed the room to share their feedback with the ideators and sign up to support the ideas they believed to be most important. Based on the reactions and feedback during the second convening, we chose the 6 most popular ideas to foster during the last phase of this project. For each of the 6 ideas we held 1 hour workshops with the ideator and those who signed up to support the idea. Since each idea was in a different stage of maturity and involved different stakeholders, each workshop looked different but was tailored to move the idea to its next action step. 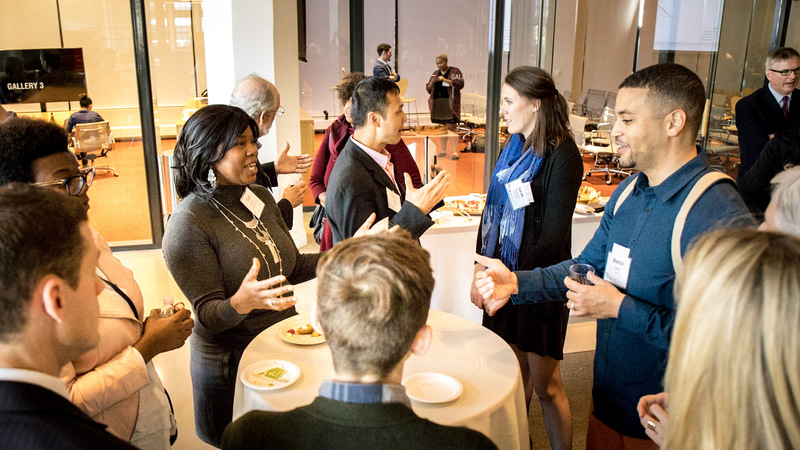 While the first and second convenings were educational and program heavy, in the final convening we created more room for informal connecting and celebrating of the community. The ideators who presented at the second convening shared their milestones to a crowd triple the size of the first convening. We are thrilled at the results of our ecosystem work and are happy to hear your thoughts. Tweet us at @susan_hammel, or email shammel@cogentconsulting.net.